One of my bosses had this idea before we deployed to send me all over the AO to do “cleanings.” In his office one afternoon, he explained to me that he understood how important that prevention stuff was and that this was his solution to how I would manage the brigade’s dental care during the deployment. “Anyway, that’s what our dentist did in Iraq” he said. I immediately began repeatedly banging my head on his desk. No, no I didn’t. But strangely that was my first instinct. What really happened was a polite and respectful conversation in which I explained to him my concerns with his plan. But he was the commander and I was just his dentist. What did I know about effectively delivering dental care? My job was to do what I was told. I left his office that afternoon with a knot in my stomach and a headache. I did not want to spend a year in Afghanistan polishing tobacco stains off of teeth. Fast forward about twelve months. There we were in Afghanistan and the impossibility of sending me out to perform dental hygiene on thousands of soldiers was finally apparent. However, in an attempt to show support for our Soldiers we came up with a compromise. My idea was to travel around to as many small FOBs, COPs, and OPs as I could with cases of fluoride varnish. I would fly out on a helicopter to some small outpost and just paint fluoride on the teeth of anyone who was willing. Unlike cleanings, this required minimal equipment and would actually be a way to quickly affect many soldiers in a short time and actually prevent dental decay. This plan also freed me up to do consultations with soldiers, medics, and the PAs while my dental tech administered the fluoride treatments. We traveled on quite a few missions throughout the year. Some days I would leave in the morning and come back at night. Some times we would be out for days. At times, we had some very interesting experiences. One particular trip took us to a small Combat Outpost up in the Pesh River Valley called “Honaker-Miracle.” This COP was named after two soldiers, Specialist Christopher Honaker and Pfc. Joseph Miracle, who were killed in 2007. This base was at the bottom of a steep valley and was prone to mortar and sniper attacks. 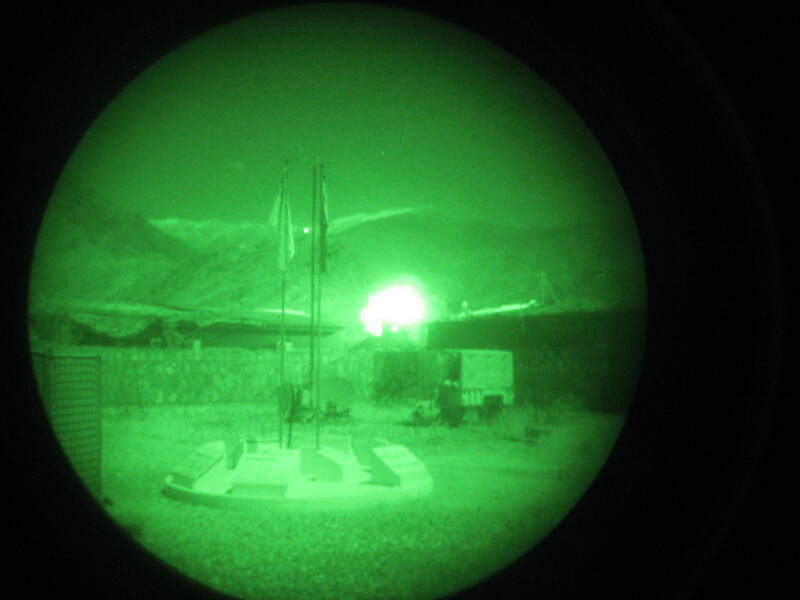 We arrived late at night on a UH-60 Blackhawk. A small element from the base operations cell was there to greet us and give us a quick situation report on the security of the area. The situation up there wasn’t very friendly. We settled in for the evening with the hope of seeing 50-60 soldiers the following day for fluoride. I actually got a great night’s sleep and woke up to some truly spectacular views of the Hindu Kush mountains. Around 8:30 in the morning we started taking sniper fire from up on a hill. The echo from the valley made each round sound like it was being fired from twenty feet away. Because of the sniper everyone had to stay inside as much as possible and wear full “battle rattle” when moving outdoors – helmet, body armor, and weapon. If you needed to relieve yourself, you had to run in a dead sprint to the latrines and hope for the best. Not surprisingly, we didn’t get too many soldiers willing to risk their life to come see the dentist that day. We spent the morning hanging out and watching movies in the aid station with the PA and the unit medics. We could hear the sniper firing outside all day. He would pop off a few rounds here and there at some unlucky soldier trying to run to the bathroom or go get some chow. No one was particularly bothered by this as it was a pretty normal event for that base. Sometime after lunch an alarm went off alerting everyone on the COP that there was a casualty on the base: someone had been shot. Everyone in the aid station started preparing to receive a wounded soldier. My assistant and I picked up our gear and moved it out of the way. The aid station was very small, only holding a couple of desks and two litters on litter stands. The last thing they needed was a bunch of fluoride varnish and dental supplies all over the place. Only a few moments later the back door came flying open and a large soldier came lumbering down the hall. His buddies followed quickly behind him and tried to explain what happened: he was outside trying to go get some laundry when he got hit. The medics quickly but calmly hoisted him on a litter and began cutting off his uniform so they could inspect the wound. A small amount of blood was noticeable on his sleeve. Once exposed, a wound was visible on the lateral and medial surface of his left bicep. There was minimal bleeding and no swelling. The patient wasn’t feeling much pain thanks to all the adrenaline and was surprisingly very calm and cooperative. The PA did a thorough examination and determined that the round had passed through only muscle and had done so cleanly. There was no damage to any major blood vessel, nerve, or artery. The pulse in his hand was strong. They debated about calling a MEDEVAC helicopter to take him to the surgical team for an evaluation, but opted to observe him there instead. The risk of having a helicopter shot down was greater than the risk of this particular injury. The medics cleaned and bandaged the wound, then wrapped an ice pack on top. They gave him some pain medications and assured him he would be fine in a few weeks. Members of the soldier’s chain of command were there very quickly with instructions to the patient: Call home, tell your family what happened and tell them that you are okay. Then they immediately started the paperwork for his Purple Heart. After a few minutes things started calming down. I struck up a conversation with the recently wounded soldier. I told him who I was and what we had come there to do. He was surprised that a dentist was there. I asked him if my tech could put some fluoride varnish on his teeth while he was here. He agreed, and he agreed to let me photograph him. Later in the afternoon as the sun began to set, the sniper lost his ability to see his targets and he retired for the evening. The soldiers at COP Honaker-Miracle did not take the snipers attack without fighting back. They returned fire when they could and they mortared the area where they knew he was hiding. 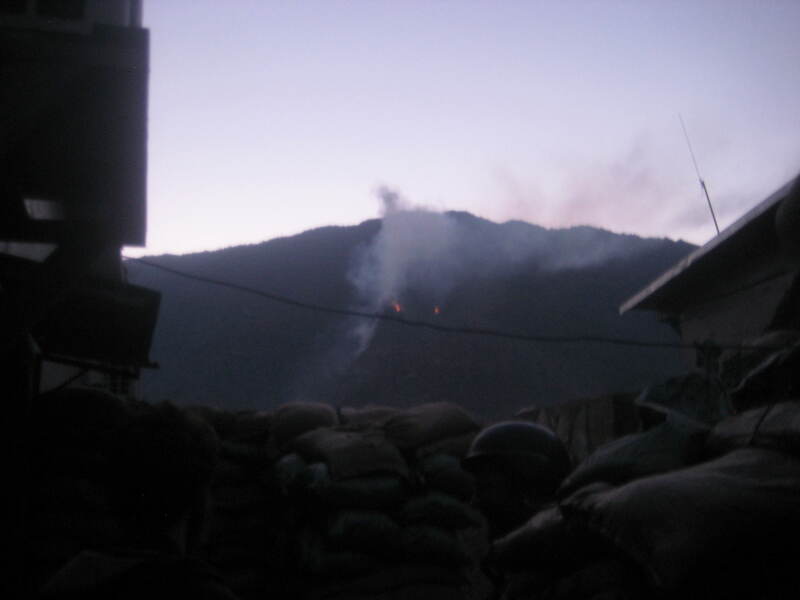 As the rounds landed on the side of the mountain some of the dry brush caught fire, gently illuminating the mountainside as the sun set over their tops. There are not a lot of times in an Army dentist’s career when he has the opportunity to come so close to the enemy. 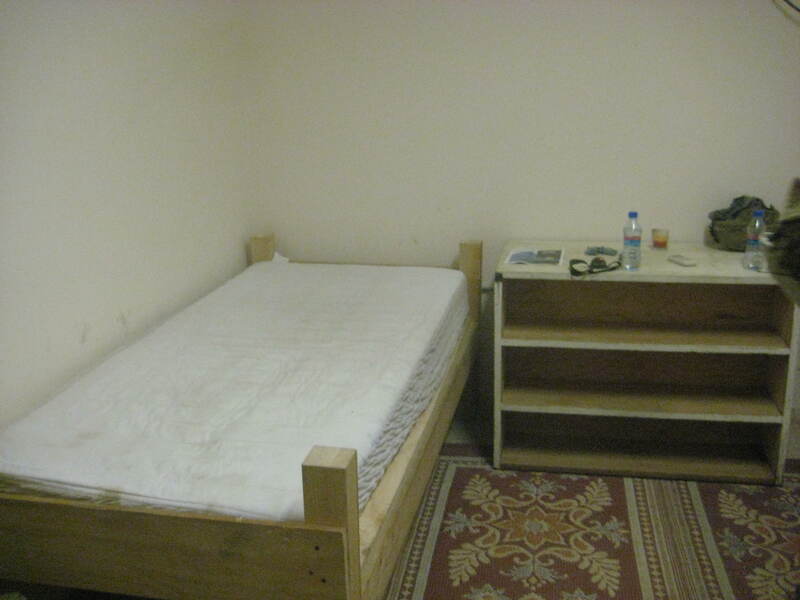 For the most part, even when deployed, dentists rarely leave their post at the dental clinic. It is even rarer for us to travel so far forward to such a small outpost. Our experience in war is usually limited to treating dental patients in some cozy clinic all day long. 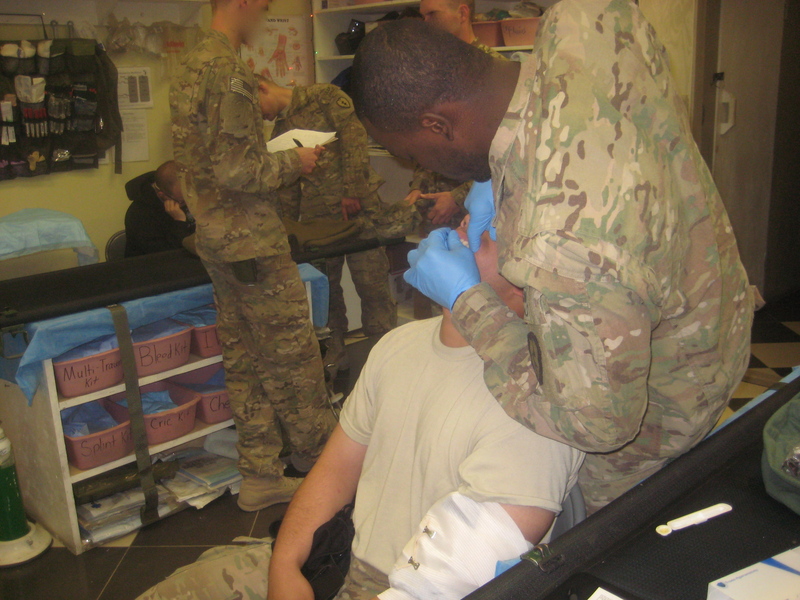 I consider it a great honor that my unit wanted and allowed me to deliver dental care to the Soldiers out there who actually do the fighting in this war. As much as those Soldiers appreciated my visit, I appreciated my time with them much more. Did two tours myself. The Stan is something that gets in your skin and never leaves you. Glad you made it back safe and even happier to hear about your new practice. God bless.